I hope you are enjoying a nice cup of joe on National Coffee Day. It sure is perfect weather for it! There are many things that I love about fall, and one of them is soup season. I love soup, stews, chilis, and slow cooked, braised meats! To me, there is nothing more satisfying than warm soup once the weather starts giving us cooler temps. Making homemade broth and stock is a traditional practice of all cultures. They are used as a foundation for making soups, stews, and sauces, and they also provide a boost in flavor and nutrients to the meal you are creating. What is the difference between broth, stock, and bone broth? Broth is made from meat, vegetables, and aromatics. They are simmered in water for 45 minutes to 2 hours. The purpose of broth is to provide flavor. Stock is made from bones (with fat and meat still on them), vegetables, and aromatics. They are simmered in water for 4+ hours. The longer simmer time develops more flavor and pulls the collagen out of the bones. The stock becomes thick and gelatinous because of the collagen. Bone broth is essentially the same thing as stock but simmered for even longer—12+ hours. There is usually an acid like apple cider vinegar added to the simmering bones to help extract minerals. The end result is a thick, gelatinous, flavorful stock with a boost of minerals. Every single soup, stew, or sauce I make starts with bone broth. I like the gelatinous collagen, the flavor, and the added minerals that bone broth has to offer. I try to make my own which really is quite easy, but when I’m short on time, I grab for my favorite, quality store-bought brands. 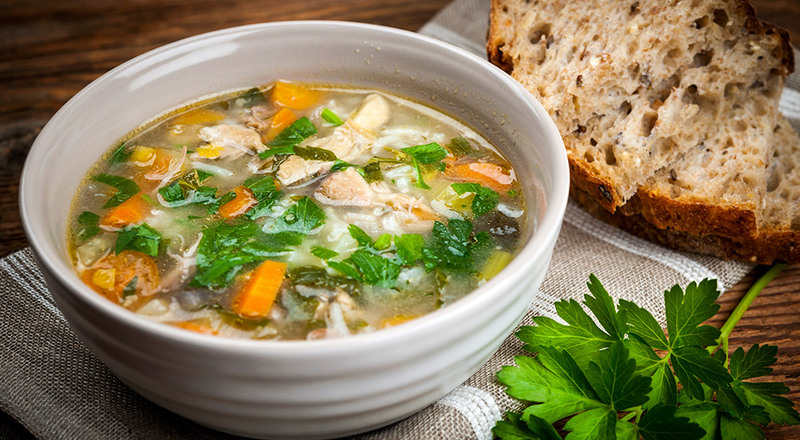 There are many store-bought broth and stock options and their quality can vary tremendously. 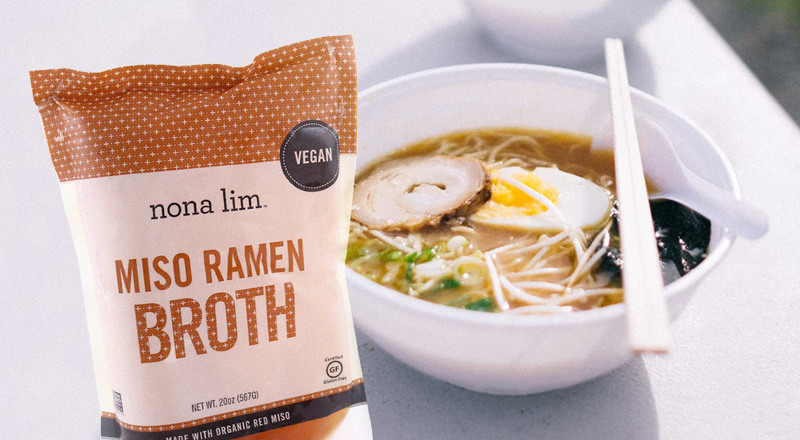 It is important to buy broth and stocks that are free of MSG, corn syrups, natural and artificial flavorings, and massive amounts of sodium. 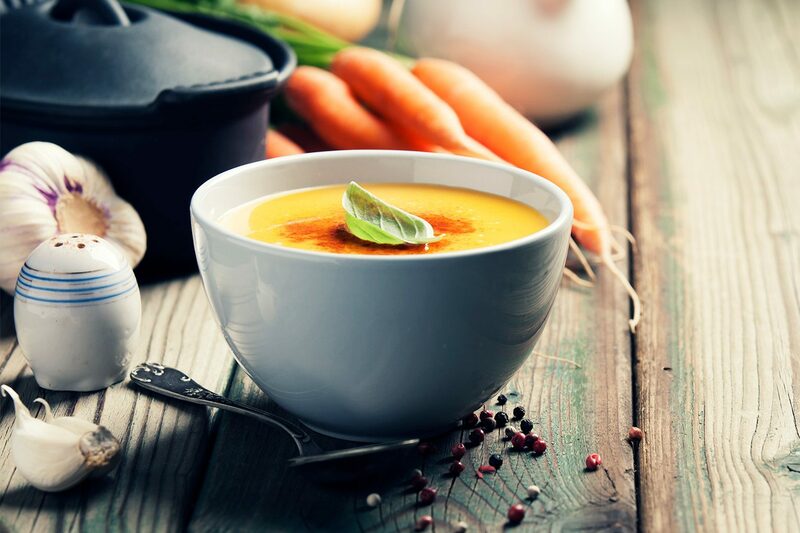 These types of ingredients are trying to enhance the flavor of the broth and stock instead of letting the flavors naturally develop through long simmering and quality ingredients. You can rest assured that all the broths and stocks sold at Green Bean are made with the highest quality ingredients and no flavor enhancers! Erie Bone Broth is from Cleveland, Ohio. 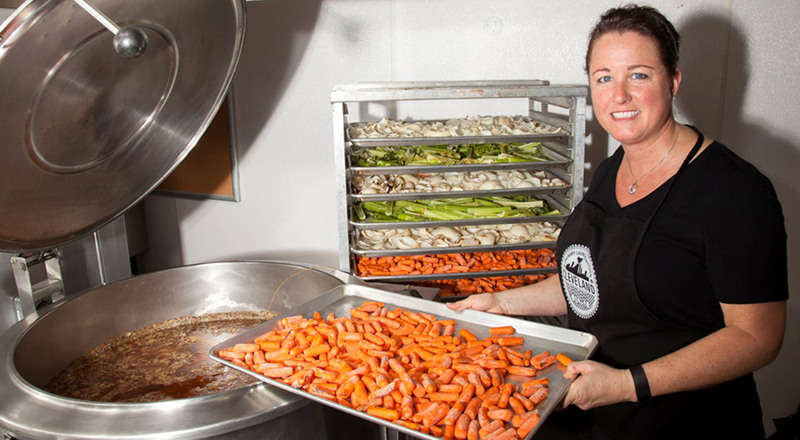 They are a local company that makes exceptional bone broth. They source their bones from animals that live and eat in their natural environment and are free of GMO’s. I love their bone broth because it’s just like homemade! There is so much collagen (or gelatin) extracted into this bone broth that when it sits in the fridge it looks like jelly. I like to use this brand as sipping broth. Warm it up, add some salt and pepper, and enjoy! Nona Lim is a national company from Oakland, CA. They make non-GMO, dairy-free, and gluten free bone broths. They are inspired by Asian flavors and made from scratch! These bone broths are my go-to when I need an awesome made from scratch soup taste like it has been simmering for hours, but really made in 30 minutes or less. The Thai Curry Lime gets turned into a fish stew by adding onions, bell peppers, cod, and cilantro and simmering about 30 minutes until the cod falls apart. The Miso Ramen turns into a ramen bowl by adding green onions, mushrooms, peppers, leftover cooked meat from a previous meal, soft boiled eggs, and Koyo Soba Noodles. Pacific Foods is another national brand that makes healthy organic food from simple ingredients. They have a nice selection of broths, stocks, and bone broths. They are made with quality ingredients and cooked slowly to bring out the rich complex flavors that broths and stocks have to offer. Their bone broth is my go-to for all of my soups, stews, braised meats and/or veggies, and I even use it as a sipping broth. When making soups, the amount of bone broth used in a recipe can be 4, 6, or 8+ cups. This can get very expensive if you aren’t using homemade bone broth. This is another reason why I love Pacific bone broth—it is very affordable! 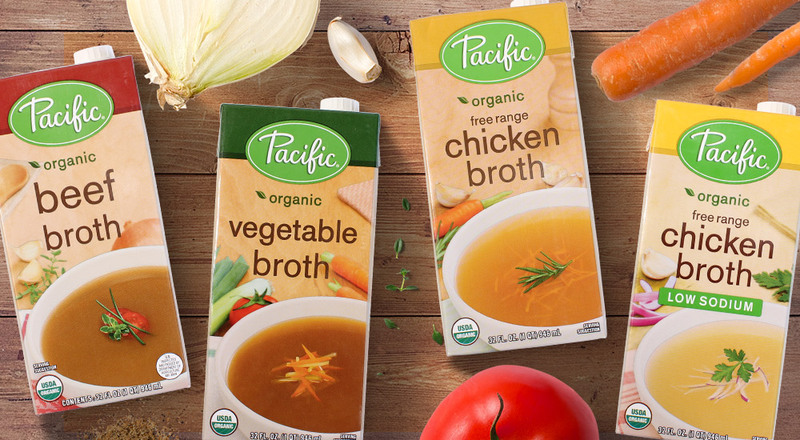 It can be hard to find quality product at an affordable price, but Pacific bone broth is just that! 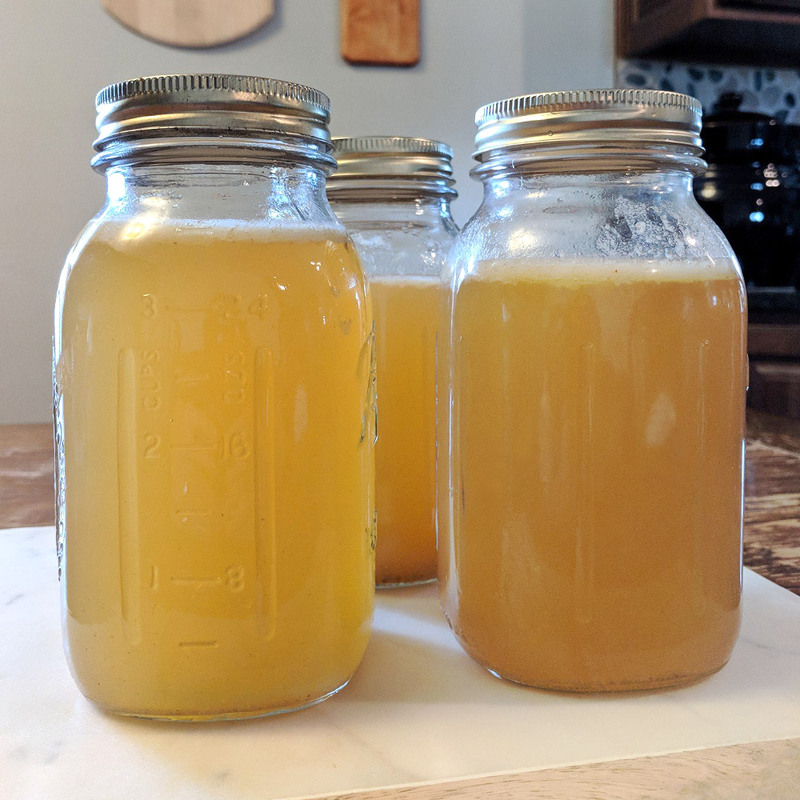 Making homemade bone broth is very easy, and super convenient if you use a slow cooker. Here is my favorite recipe. Add one chicken carcass to a slow cooker and cover with water (mine holds 3.5 quarts of water) + one tablespoon raw, organic apple cider vinegar. Cook on high until boiling then on low for 12-18 hours (total). Strain and store in glass jars. Find everything you need, including bone broth ingredients in our store! Kicking off Fall with My Favorite Tailgating Recipes!